Japanese maples are expensive trees, and as you are reading this, you are probably thinking about a Japanese maple in your yard that you are nervous about pruning. So you want to get it right! 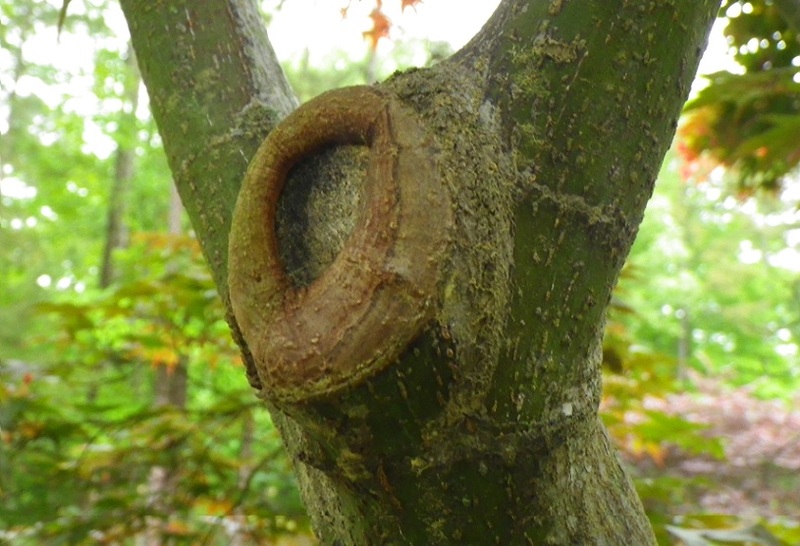 There are a lot of things to learn about pruning Japanese maples. In this article, we will discuss the best time of year to trim a Japanese maple, as well as a basic trimming tactics in how to make proper cuts to your Japanese Maple. 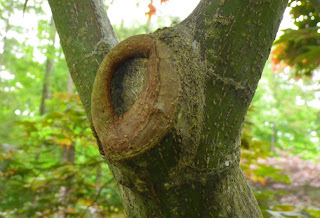 When Can I Prune My Japanese maple? Orange spots on grass? Its Lawn Rust. 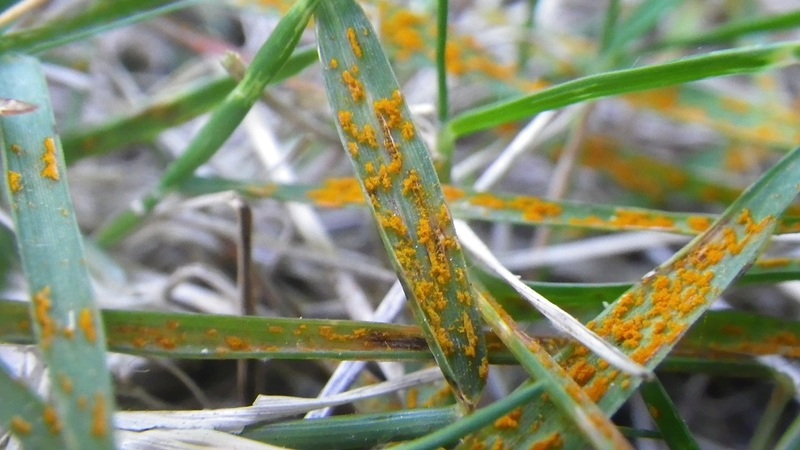 Notice weird orange or yellow (rust colored) spots on your grass? 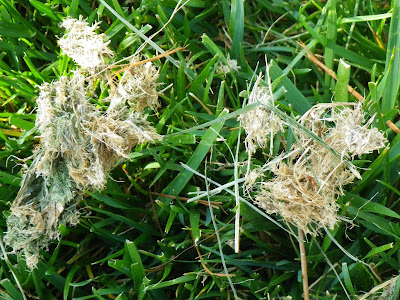 Its dusty, it gets all over your shoes, and it will make your think your lawn is dying. Well, its a disease called lawn rust. It can effect all types of lawns, from warm season zoysia and bermuda lawns, to cool season fescue and bluegrass. Lawn rust is an orange or rust colored powdery fungus that will grow on your lawn. It is obvious how it gets is name, the rust color. All that orange stuff is actually spores from a fungus. The rust shows up when your grass is growing slower than usual, combined with cooler temps at night (temps in the 70's) and humid or wet nights (i.e. cool with lots of dew). When to trim Azaleas? Right after the Big Bloom! When is the best time to prune your Azaleas? Most people love an Azalea's spring blooms. But once your Azaleas are done showing off, did you realize your that Azaleas should really be cut back as soon as they are done blooming? Prune Azaleas Right After they Bloom. Don't Wait til Summer or Fall. Why? Believe it or not, the best time to trim your Azaleas is right after they finish blooming for the spring. When you start seeing the blooms bend over and wilt, you'll know its time. This is because by the middle of the summer, your azaleas will already have their buds set for next year. Should You Bag or Mulch Grass Clippings? Bagging vs Mulching when you cut the grass. Which is better? The answer is that most of the time you should mulch the grass when you mow. However, there are cases when it is better bag the clippings. What are the facts and when should you bag vs mulch the clippings? When should you mulch the clippings? Most of the time. Fact # 1: Grass clippings put nutrients back in the grass. If mulched correctly, the clippings can provide your lawn with 25 percent of your lawn’s total nutritional needs for the year. To be specific, mulched up grass returns 4 percent nitrogen, 2 percent potassium and 1 percent phosphorus back into the lawn. In the spring, as the grass bounces back to life, your fescue lawn tends to grow really fast. The temperatures are perfect , the grass was recently fertilized, the sun is shining, and the ground stays wet with plenty of moisture. This all amounts to a healthy, dark green, thick lawn, that grows really fast, making it tricky to cut off that 1/3 off the top each week! 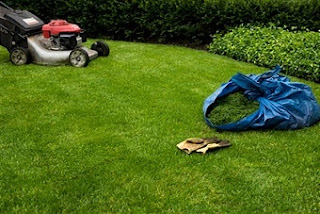 In fact, during this time, you almost have to cut it twice, or spend a lot time blowing or raking out all those clumps! What a mess! After being in the industry for a while, you learn a couple of tricks here or there. One that is especially useful is in the spring, when the grass is growing so fast you can barely keep up. Most people set a mower height for the lawn, and then keep it at that height all year. You don't have to do that. Meaning of the Three Fertilizer Numbers - How to Calculate it. Dog Pee Spots in Grass. What to do? Like this? Get more cool stuff when we post it!